A coloured giraffe on an abstract oil paint canvas ! The dimensions of this giraffe oil paint canvas are 40 x 60 cm. 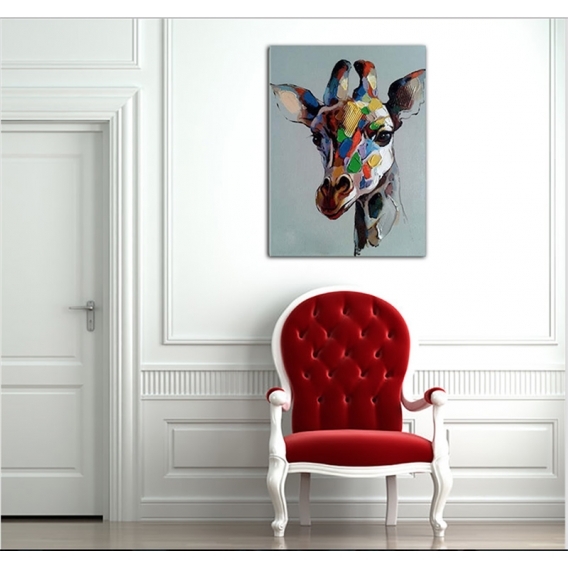 For the purchase of this low price design oil painting, the 48h delivery is free in metropolitan France and Belgium. This modern oil painting canvas is hand and brush painted by our artists. 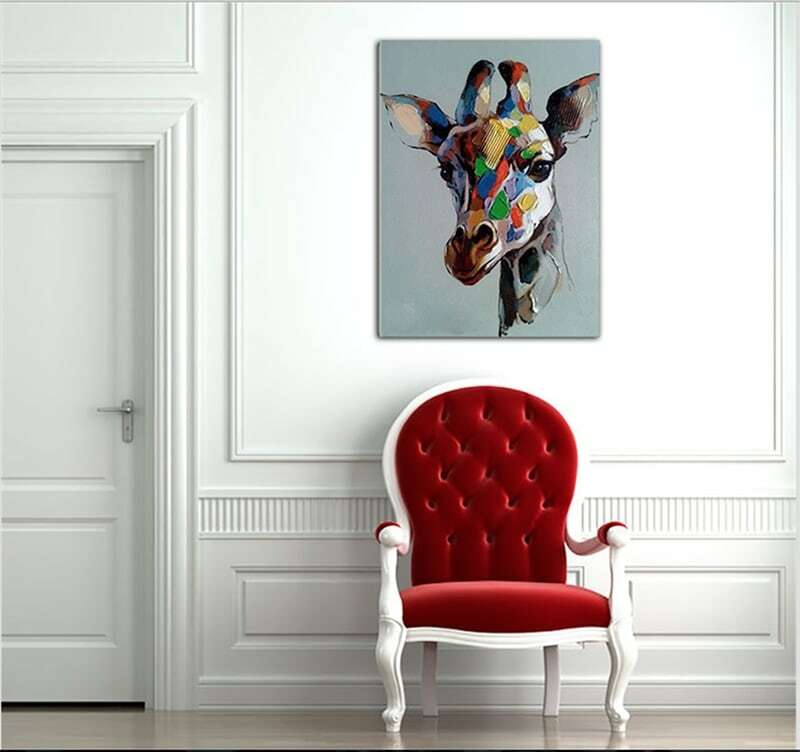 The giraffe, one of the world’s most beautiful animals, shown on a contemporary oil painting canvas for your interior decoration ! 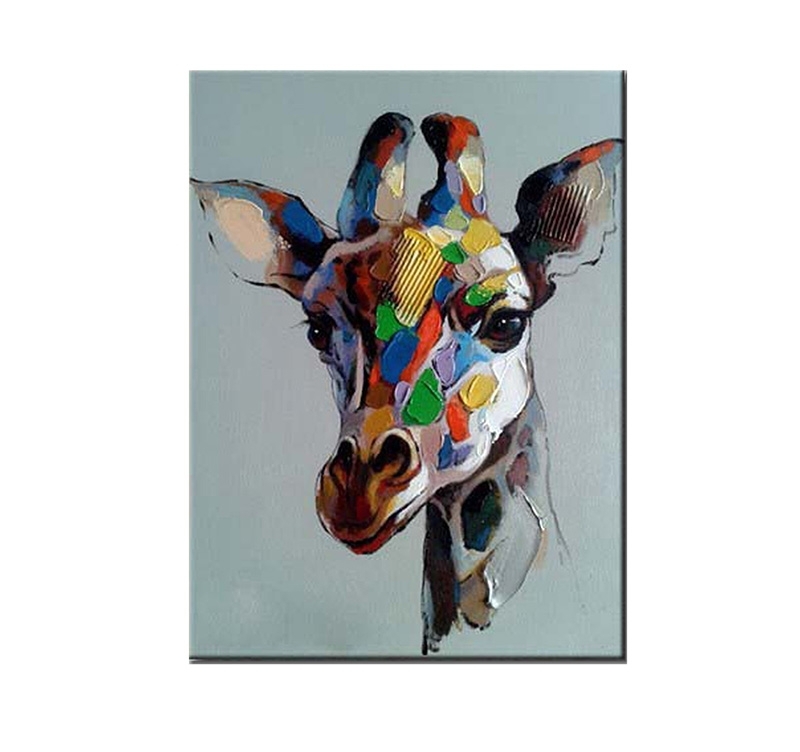 With many colours, each part of this modern giraffe is hand painted giving you an abstract painting with relief to enlighten you wall decoration. With its touching eyes this animal on a design oil painting canvas will allow you to create a modern ambiance with its grey background in your bedroom or sitting room. The modern oil painting canvases of this category are painted on a cotton canvas and stretched on a Canadian pinewood frame so the picture is ready-to-hang. The abstract canvases are delivered wrapped and with cardboard corners and hanging system. All the animal wall canvases of the category art painting canvases are original hand painted works to ensure a better finish and a long-lasting quality. 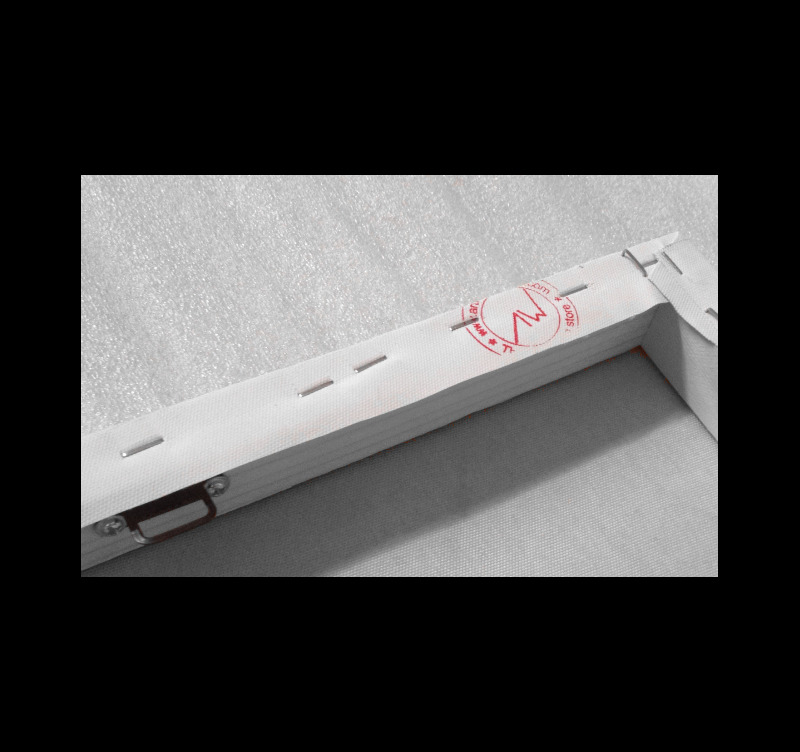 You can also choose to hang up this deco canvas using our no trace, no nails, no screws hanging system! Reçu en 48 h , peinture sur toile de bonne qualité qui sublime mon salon avec des couleurs magnifiques.